Vietnam Jinpu Coal-fired Power Plant project is approved by the Vietnamese government project, Jinpu Thermal Power Company (CPC) of the Vietnamese Ministry of Coal Industry is responsible for the large-scale thermal power projects. Vietnam Jinpu Coal-Fired Thermal Power Plant site is located in junction area of Halong Bay Scenic Area and Bai Zilong Bay. Due to the proximity of large coal preparation plants, the fuel transport is convenient. Hofmann(HFM) provides tailored refrigerant heat exchangers and heat transfer programs for the Vietnamese Jinpu coal-fired power plant project, which is a typical engineering case of the heat recovery of a power plant using ash residue heat. Vietnam's Jinpu coal-fired thermal power plant project is approved by the Vietnamese government project, the Vietnamese Ministry of Coal Industry Jinpu Thermal Power Company (CPC) is responsible for the construction of large-scale thermal power projects, which is currently the largest single capacity of the circulating fluidized bed power station in Vietnam. 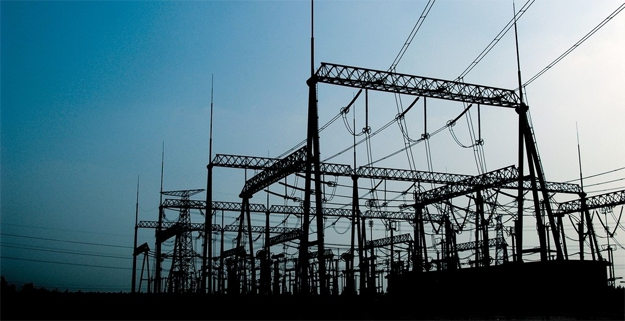 After been built, it will become the northern Vietnam power grid main power support point. The project site is close to the large coal preparation plant which has been put into operation for many years, and the fuel transportation is short and convenient. The national highway No. 18 is close to the site and is parallel with the special line of coal transportation. Vietnam Jinpu power plant planning capacity is 2 × 300MW, constructed in two phases. The first phase of the project installs 1 × 300MW circulating fluidized bed coal-fired units, using two furnaces with one machine combination program. Coal-fired in power plant uses 80% of raw coal and 20% of slime (coal slurry), raw coal and slime are all from coal washery adjacent to the plant, transported through the belt to the power plant. The EPC contract has been in force since April 15, 2006, and HPE has completed all the work from design to crew acceptance from October 30, 2008 (30 months). Hofmann(HFM) as one of well-known brands in the field of heat exchanger equipments, has also participated in the project. Vietnam Jinpu Power Plant Phase I project to install 1 × 300MW circulating fluidized bed coal-fired units, due to circulating fluidized bed unit emissions of large amount of slag, and with a lot of physical sensible heat, so the waste heat recovery of cold water Has a certain energy saving significance. Based on this, the first phase of the project selected Hofmann’s(HFM’s) heat transfer solutions and two VT2508 cold water tank heat exchangers. 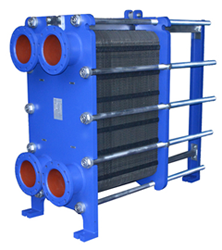 Cold slag water heat exchanger is the heat exchange equipment to recover the slag cooler, and realizes preheating recovery. The cold slag water heat exchanger uses a water source to cool the boiler ash and transmit ash heat to the condensed water or desalted water to realize heat recovery and utilization. How to better use the plate heat exchanger in the field of energy-saving emission reduction technology is always the direction of company's relentless pursuit and exploration. The Cold waste water waste heat recovery project is a good example of the rich experience and technical support of Hofmann(HFM) on the power plant waste heat recovery. We will use our rich experience in the heat exchanger to better meet the various needs from customers, so as to minimize energy consumption, to ensure that customers achieve maximum economic benefits.